Gallery Accademia Venice 2019: Information and online tickets Museum Galleria dell Accademia 2019, the largest and most important art museum in Venice. The Accademia Gallery is the most important museum in Venice and one of the most important art museums in Italy. Especially the paintings by world-famous Renaissance artists attract millions of visitors every year. Since the number of visitors to the Museum Galleria dell Accademia is limited, there are often long queues at the ticket office with enormous waiting times. However, you can buy online tickets for the Accademia Venice in advance on the Internet. The Accademia is one of the two great art museums in Venice, the other is the nearby Peggy Guggenheim Collection (modern art, first half of 20th century). The normal entrance fee to the Accademia Venice Museum at the ticket office is 16,50 euros. All children under 18 years have free entry! For security reasons, the number of museum visitors is limited to 400. This is quite low for such a large museum. That's why the Galleria Accademia is crowded only in front of the world-famous masterpieces and above all at the entrance. In order not to have to wait in line for hours at the entrance, we recommend that you buy online tickets in advance on the Internet. Such tickets with preferred admission (Skip-the-Line-Tickets) are available online. Admission is free on the first Sunday of the month. But then even more is going on and the maximum number of visitors to the museum (400 people) is quickly reached. Despite the free entrance you have to get a free ticket at the ticket office (often very long waiting time). As far as we know, there are no tickets in advance on the Internet on this first Sunday of the month. The opening hours are quite long. The museum is open every day except Monday from 8:15 am to 7:15 pm. On Mondays the art museum is closed. The only two days of the year without any opening hours are Christmas Day (25.12) and New Year's Day (1.1.). It is the largest museum of Venetian painting from different periods. Besides paintings there are also sculptures, drawings and others. But the main focus is on paintings, many of them by artists from the Venice area. 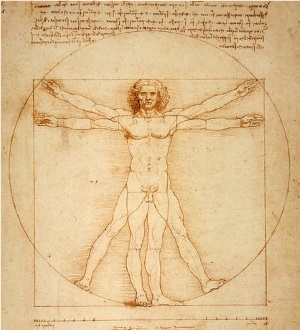 One of the highlights is a very famous drawing by Leonardo da Vinci called "Vitruvian Man" (Uomo vitruviano). The drawing is only 34 cm high and 24 cm wide. The more than 10 pictures by Giovanni Bellini from the 2nd half of the 15th century are very well known. These include: Trittico di San Lorenzo, Trittico di San Sebastiano, Trittico della Madonna, Madonna dai cherubini rossi, Madonna Contarini, Madonna degli alberetti, Quattro allegorie, Pieta Martinengo and Pala di San Giobbe. The impressive painting "Procession on St. Mark's Square" is 7.7 metres wide and 3.5 metres high. Don't miss the works of Jacopo Tintoretto in the Accademia Gallery in Venice, among them "The Salvage of the Body of Saint Mark", "Adam and Eve" and "The Miracle of the Slaves". There are also several world-famous works by Titian in the Galleria dell Accademia Venezia. These include "The Presentation of the Virgin Mary at the Temple" (over 7 metres wide) or the almost 4-metre wide "Pieta". It shows people grieving near the body of Jesus. Another painting by Titian called "John the Baptist" is much smaller, but no less famous. Another well-known painting in the Accademia of Venice is "Vecchia" (Old Woman) by Giorgione, one of the great Venetian artists of the Renaissance. Even more important is Giorgioone's painting "The Tempest" (La tempesta) from 1508, but it is still unclear what the painter wanted to say with the painting. The many discussions about the message made the painting one of the most famous works of art in the great museum in Venice. Where is the Gallery dell Accademia? The Accademia Museum is housed in an old palace worth seeing. Most of the exhibition is on two floors. On the upper floor you find many of the very famous paintings from the Italian Renaissance like from Bellini. The gallery is located in the south of Venice, about 20 to 30 minutes walk from Venice main station. It is located directly on the wide Canal Grande waterway and easily accessible by public ferries from Venice (Water Bus line 1 and line 2). Line 2 reaches the art museum Accademia much faster, as the ferries on this line stop at fewer stations. Directly in front of the Galleria Accademia is one of the four bridges over the Canal Grande, the Accademia Bridge. The walking time from the Galleria Accademia to the tourist centre of the city around St. Mark's Square Venice is about 15 minutes (you cross the bridge from the gallery). The art museum is in the south of Venice next to the Canal Grande. Those interested in modern art should also visit the Peggy Guggenheim Museum, just 10 minutes' walk away. You can't take backpacks, bags and so on into the gallery. You need a one euro coin as a deposit for a locker in the entrance area. According to a notice at the entrance of the most important art museum of Venice, only bags up to a size of 30 x 20 x 15 cm may be taken into the museum. In the art gallery there are good toilets for visitors with tickets. You can buy books about art and Venice in the Accademia Gallery. The museum entrance closes one hour before the end of the opening hours (see above). Also on the first Sunday of the month and for children you need a free ticket for the Galleria dell Accademia Venezia. This is probably because, for security reasons, no more than 400 people may be in the Accademia di Belli Arti at the same time. If you do not want to queue for hours at the entrance of the Galleria dell Accademia, you can buy online tickets in advance on the Internet. Such tickets without queuing are available online.